“Technique 88 is the most hyperbolical, effervescent, dramatic, unexaggeratable, high-flown, superlative, grandiose, colossal and magnificent technique which the mind of Man could conceivably embrace. It is as big as the whole track and all the incidents on it. It’s what you apply it to; it’s what’s been going on. It contains the riddles and secrets, the mysteries of all time. You could bannerline this technique like they do a sideshow, but nothing you could say, no adjective you could use, would adequately describe even a small segment of it. 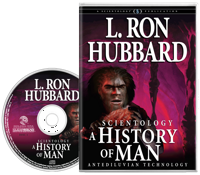 It not only batters the imagination, it makes you ashamed to imagine anything,” is L. Ron Hubbard’s introduction to you in this never-before-available lecture series, expanding on all else contained in History of Man. What awaits you is the whole track itself. Because they didn’t know what was aberrating them, they didn’t know why things were getting worse. Well, you know why in Technique 88. For eons, Man had puzzled about his past. Where had he come from? Why was he here? Was he descended from gods, or just a happy biological accident? Did he evolve from apes, or arrive from the stars? The place was Phoenix, Arizona. 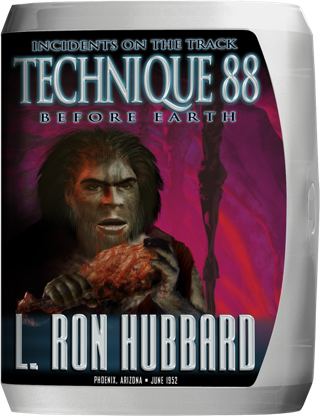 There, in the shadow of Camelback Mountain, L. Ron Hubbard was concluding his two-year investigation into past lives. This phenomenon had reared its head before the ink was dry on the first copies of Dianetics, it accelerated with the development of Advanced Procedure and became a focal point with the release of Handbook for Preclears. He established early in his research that past life incidents had to be addressed. When they were ignored, the preclear bogged. When they were taken up, gains were swift and dramatic. Whether one “believed” in past lives or not, it was impossible to argue with results in processing. Crucial to Mr. Hubbard’s exploration of this realm was his development of the first E-Meter. With it, long-buried incidents and hidden charge could not only be brought to light, but checked and cross-checked in scores of preclears. In just that way, he began charting the incidents common to all cases, establishing the principal incidents to be found in every human being. In early 1952, L. Ron Hubbard published the results of this research in a new book, What to Audit, now known as Scientology: A History of Man. Its opening words revealed a new processing regimen, Technique 88, specifically designed to locate and audit the thetan, the “I” of the individual. In June, auditors from across America gathered for a summer session of lectures at the 22-acre Hubbard College, then located on Indian School Road in Phoenix. There, in an outdoor theater built for that purpose, Mr. Hubbard delivered the legendary Technique 88 lectures. What followed was an adventure far beyond anything those auditors had ever imagined. To further assist auditors in their own explorations of this new territory, he provided them with compass and map: two companion publications to A History of Man. One was Electropsychometric Auditing, the first manual on the use of the E-Meter. The second was the Individual Track Map, to chart the incidents run on a case. For the first time, Man could close the long chapter of past entrapment and chart his course to freedom. 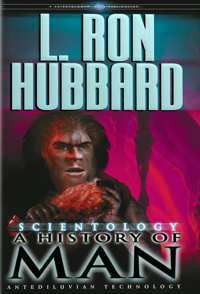 Here, then, are L. Ron Hubbard’s lectures on the whole track of Man’s history.